This Japanese preamp design features electronic analog switching---plus an MC step-up transformer. 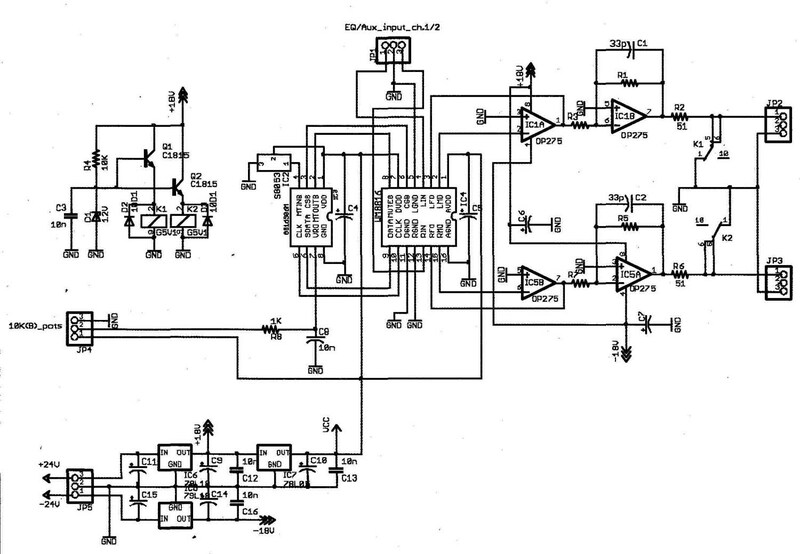 It has been several years since I designed a simplified preamplifier using the DACT CT-100 and CT101 amplifier unit. I still would love to use DACT components such as a rotary switch and/or a volume to achieve a professional feel and smoothness when turning the knob. But the design I present here uses state-of-the- art semiconductor devices such as an electronic volume, electronic selector and so on, resulting in excellent presentation and an isolation characteristic as well as S/N ratio. The sound is really pure and natural and brings a presence and dynamism. 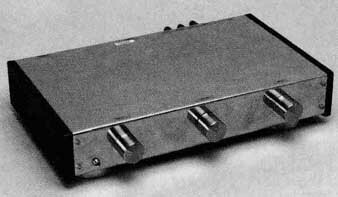 The amp is encapsulated into a compact chassis, including a RIAA equalizer and a couple of MC step-up transformers. The footprint of this unit equals that of a PC Notebook. 1. Use an electronic volume. Although Burr-Brown’s PGA2310 is well known, I chose a Wolfson electronics (UK-based) device, WM8816, in conjunction with the Tachyonix (Japan-based) 8-bit microcontroller chip (8616506M) exclusively designed for WM8816. 2. Use an electronic selector, called an analog switch, available from several IC manufacturers. 3. Make the chassis as compact as possible. Actually, this project is an up grade of my project using DACT made modules. I renovated the internal circuit, using my own circuit, with a RTAA equalizer. 4. Use the Van der Veen MC step- up transformer. Because the transformer is tiny (about the size of a couple of sugar cubes) it exhibits excellent performance. 5. Use DACT-made attenuator and a rotary switch, which provide a nice feeling when turning the knob. FIGURE 1: Circuit block diagram (power supply not shown). 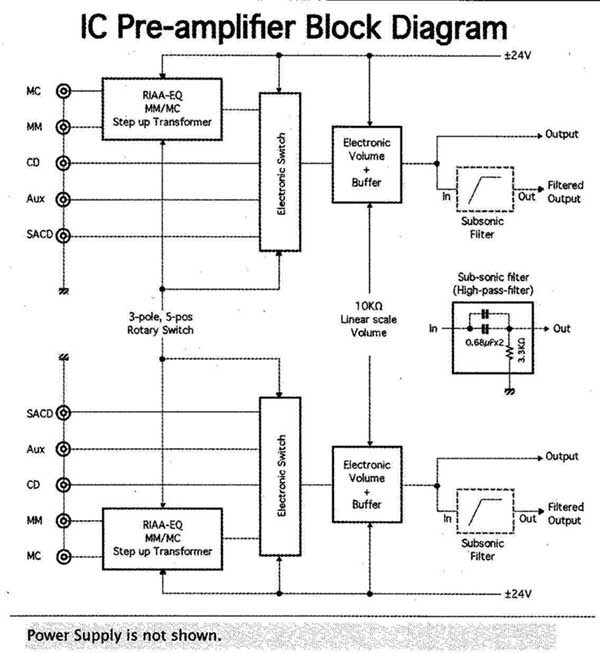 IC Pre-amplifier Block Diagram; Power Supply is not shown. The amp (Fig. 1) consists of three major blocks: REAA equalizing amp, an electronic switch and electronic volume with a buffer amp and a switching power supply with a ripple filter. Because I had fallen in love with Van der Veen’s toroidal transformers, I had been greatly anticipating his newly de signed MC step-up transformer (MC-10,please note this is not a toroidal!) 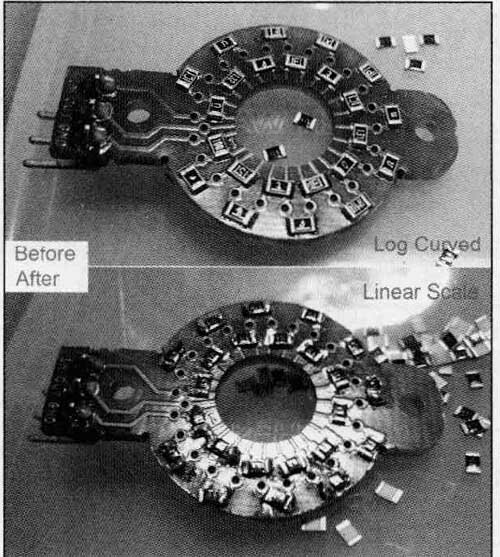 whose tiny, compact shape fit into a printed circuit board. Visit his website at www.mennovanderveen.nl. I also chose a CR-filter type equalizer rather than a NFB type equalizer. The key component is an IC chip, such as 0P275 by Analog Devices, featuring an ultra-low-distortion characteristic. It might not need to use a NFB, lowering distortion as little as possible. I calculated the CR filter components based on the traditional formula, prioritizing a capacitance value rather than a resistor value to minimize the deviation between the original RIAA curve and its actual value. The circuit consists of a preamp and a post-amp by OP275. The former amplifies either MC or MM cartridge signal with 34X gain, the latter amplifies further with 48X gain, equalizing the CR- filter with a 20dB loss (1/10x), inserted between a couple of amplifiers. The equalizing RIAA amp provides an electronic switch, an analog SPDT type that lets you choose either an MC or MM signal after pre-amplifying its signal with a 34X gain. The overall gain of RIAA equalizing buffer for MM and MC will be 116x( =34x1/10x34) and 1958x( =12x48x1/10x34). Other signals such as CD, SACD, and so on will go to an electronic switch directly with a buffer amp and an electronic volume, providing approximately 2x gain. After the selected signal the amp will finally go to a low-cut filter, with a 40Hz cutoff frequency, preventing a howling when you listen to a LP record with a LP player, working as a subsonic filter. The final block, a ±24V DC power supply, drives these functional blocks securely, in conjunction with a ripple filter, which reserves a time-constant for a soft start. 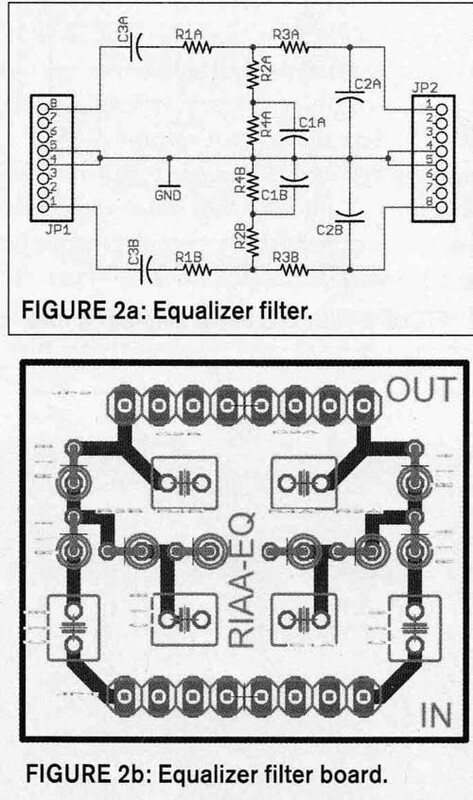 Figures 2 and 2a show the RIAA equalizer circuit and its RIAA CR-filter circuit. I mounted the RIAA filter over a small chunk of PCB so that I could easily fine-tune and replace components on the PCB, using a PCB pin and connector. Fig. 2b shows the completed etched PCB. I originally used a universal PCB for the experiment (Photo 1), but switched to the etched PCB. Instead of a conventional mechanical switch, I have recently found an electronic switch that could improve cross talk characteristics (Figs. 3 and 3a). Accuphase (Japan-based) produces excel lent products, featuring nice isolation using a compact mechanical relay of either NEC or Takamizawa, for example. Those components need a lot of space and an extra electronic control circuit to choose a signal that I want. However, an electronic analog is made of an IC chip contained in a standard 300mil wide DIP or a smaller IC package such as SOIC and so on, featuring a better isolation and a higher S/N ratio than a conventional switch. So it did not take long for me to decide to implement such a device into this new preamp. FIGURE 2b: Equalizer filter board. FIGURE 3a: Electronic switch PCB. PHOTO 1: Experimental board using a universal PCB. I first chose a SPDT switch selecting either an MC signal or MM signal after pre-amplified via a step-up transformer in case of the MC signal. I chose DG419 by Maxim in the US, whose compatible chips are available from several IC vendors such as TI, Vishay, Analog Devices, and so on. Next I chose a dual 4-input, 1-output analog multiplexer, selecting one of four inputs (equalized LP signal, CD, SACD, or Aux signal) electronically. Through actual listening tests, I chose the Maxim DG409, which is compatible with the MAX4509, MAX309, MAX339, and so on. Both electronic switches need a digital logic signal, a 0 or 1—i.e., below 0.8V or higher than 2.4V DC—to activate the switch or a multiplexer. 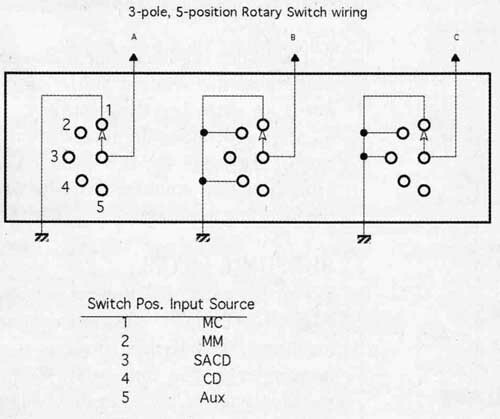 So a conventional mechanical rotary switch works to apply such a logical input signal to these electronic switches. 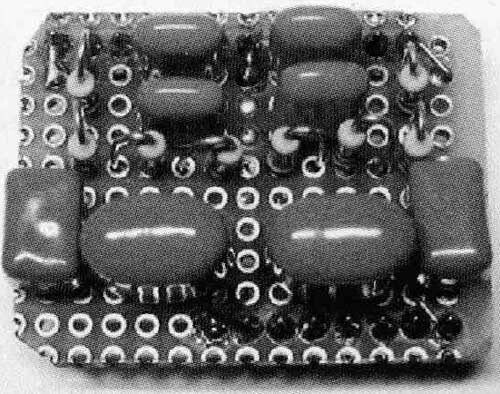 The 1 (high level) comes with a 10k pull-up resistor to a 5V power supply, and the 0 (low level) occurs by grounding a terminal. Figure 3a shows the PCB. DACT CT-3 features a 4-pole, 5-position switch that produces a smooth feeling when you turn the knob, so I love this component as well. Out of the 4 poles, 3 poles need to generate a logical signal to those switches. The first one generates either a “0” or “1” logic level. 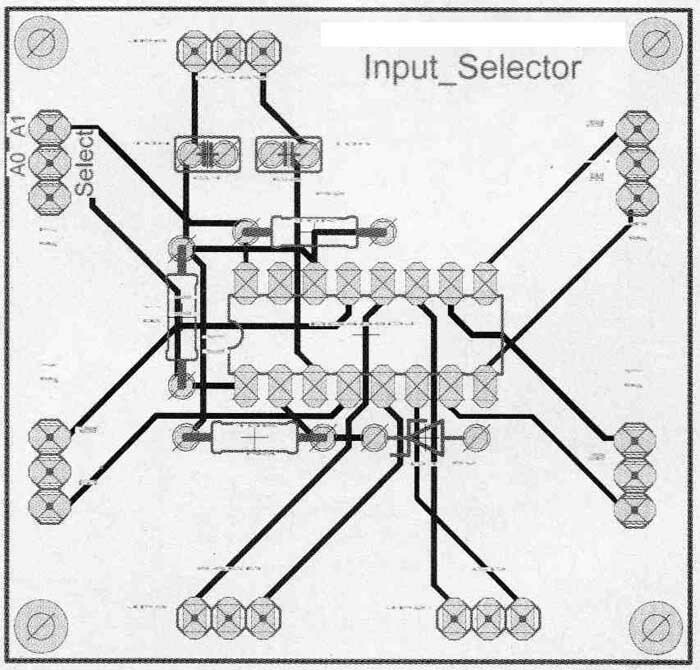 The second and third poles generate a binary logic code such as “00,” “01,” “10,” or “11” with a combination of wiring shown in the Fig. 4 diagram. I learned that Marantz Japan introduced the high-end preamp SC-751 and SC-7S2, using Wolfson’s electronic volume for the first time. This prompted me to use this device for my design because of its low-noise performance, high S/N ratio, and high crosstalk characteristic (Photo 2). Fortunately, I found a dealership (www.tachyonix.co.jp/) locally in Japan to purchase this device with a customized microcontroller chip. I placed the order to get those, to taste a flavor of this device. 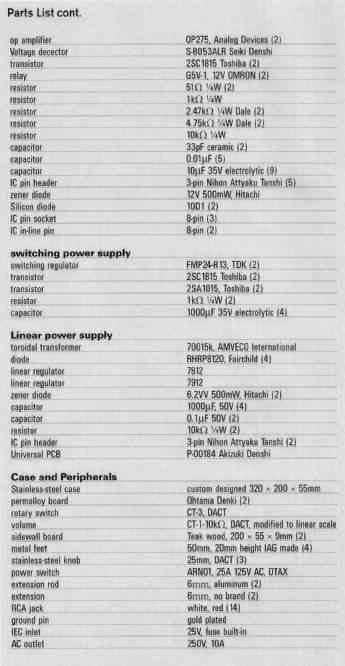 The key component, WM8816 (www. wolfson.co.uk/), is available, and you can program its controller chip very easily using Microchip’s 8-bit P technology (microchip.com). Prior to assembling the preamp, I performed an initial evaluation, using a standalone electronic volume, and put ting the chip and the control chip as well as op amps onto a small universal PCB, enclosed in a neat case (Figs. 5 and 5a). The result from the listening test showed excellent presentation. This prompted me to upgrade my IC preamp instantly. The buffer amplifier stage is also built in. Because the Wolfson WPVISS16 chip needs an extra inverting buffer by an op amp, generating the inverted output against the input signal, I included another inverting amplifier cascaded after the inverting amplifier. When listening to LP records with a RIAA equalizer, I needed to implement a subsonic CR passive filter to avoid howling at the low tone below 40Hz at the final stage of this electronic volume. I placed the subsonic filter circuit just next to the non-filtered output jacks, mounting the filter onto a small chunk of universal PCB. 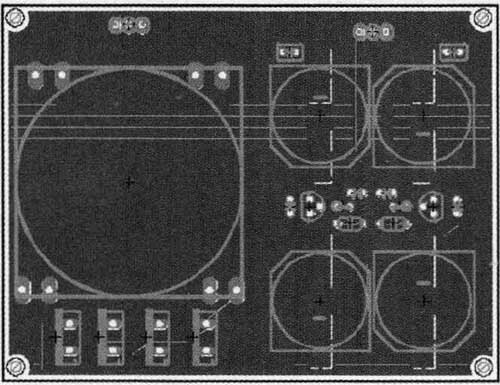 FIGURE 5a: Electronic Volume PCB. FIGURE 6: Power supply with a ripple filter. FIGURE 7: Linear power supply. FIGURE 7a: Linear power supply PCB. The original design used a ±24V switching power supply by TDK, but this time I added a ripple filter after the switching power supply in order to produce a slow- starting feature of the power supply with an approximate 0.6 second time delay. I built in a couple of Permalloy boards to enhance a magnetic shield between the power supply section and the amp section and to improve S/N ratio (Fig. 6). On the other hand, some audiophiles may wonder how switching power sup ply degrades the sound quality when such a power supply, installed inside the chassis, uses a 100kHz through 300kHz switching device over a PCB. I propose an alternative component using a PCB mount toroidal power transformer with a linear regulator chip of 78XX and 79XX series three terminal regulators (Figs. 7 and 7a). Japanese dishes, according to traditionalists, need a good chef, well-chosen raw materials such as fish, meat, vegetables, gradients and so on, and cooking must be as simple as possible. 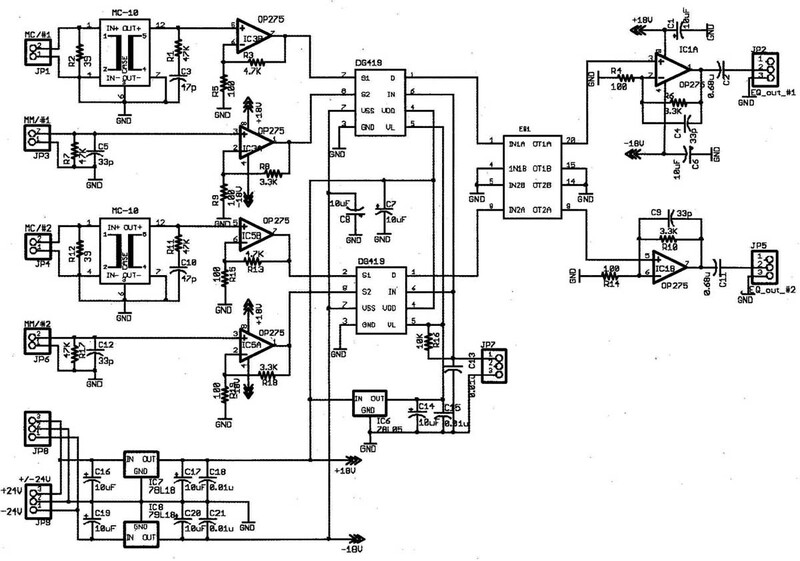 With this philosophy of simplicity in mind, I carefully chose the components to fit perfectly into this amplifier. The small size of the MC-10 (Photo 3) allowed me to integrate it into the chassis. This will fit in my Denon DL-103R cartridge. The 320 x 200 x 55mm case (Photo 4) is shell-structured with the top cover and the internal case using a 1.5mm-thick stainless-steel plate. The major reason to use a top cover is to hide screws to fix the parts over the inner case. The top cover gives the amp a professional look and matches with stainless steel knobs by DACT on the front panel. The draw back is the added weight, which is over 2kg—heavier than a typical notebook PC. The side walls are made of teak wood panels, 200W x 58H x 9mm thick. I polished the side panels with #400 through #600 sandpaper, drilled the inner sides, used three screws to attach onto the metal case, and polished again with walnut oil. As a result, the surface of the wood appeared smooth and professional-looking. 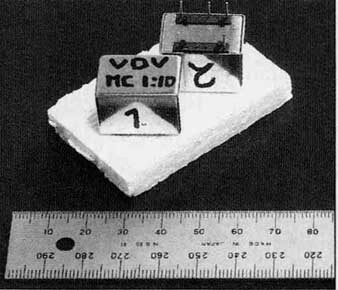 The Tachyonix control chip (8816S06M), which sends a program value of attenuation to WM8816 chip, needs a linear scale 10 k-ohm volume, in stead of a log-scale volume, which has been used for the conventional analog audio equipment. Now I needed to modify the DACT-made CT-2 mono volume for this application. The DACT CT-2 volume uses chip resistors soldered over the PCB, where the chip resistors are placed peripherally to form a compact shape and its log scale curve. The value of those chip resistors is care fully calculated and selected to provide an accurate log scale curve. But a linear scale volume for a digital volume chip does not need one at all. I pulled all chip resistors out of the PCB and put the new chip resistors of 4701TI evenly to make the attenuation curve a linear scale. Once modified, the new volume works with the control chip to generate a linear scale voltage to apply the control chip that converts an analog value to a digital code for WM8816 (Photo 5). PHOTO 2: Switch components on PCB. PHOTO 5: Linear scale CT-2 DACT mono volume. Because this project is an upgrade of the previous one, there was a restriction in terms of assembly board size. I used a universal PCB that provides 100mil spacing through holes, allowing me to assemble components easily. The PCBs are 1) RIAA equalizing amplifier, 2) electronic volume with a buffer amplifier, 3) subsonic filter 4) electronic switch, and 5) a ripple filter board, in- stalled separately in the case. I implemented a bunch of PCB connectors so assembly and disassembly for the adjustment would be simple and easy. After a while, I had a chance to try PCB CAD software, called EAGLE. So a few universal PCBs were updated with this software, to get a professional- made PCB. Hookup wire was made by Sumitomo Electronic and featured a high melting point at 105° C. I also used Neglex brand signal wire by Mogami-wire in Japan (www.mogami-wire.co.jp/e/index.html) to link between the input and out put terminals over the PCB and the terminals placed on the rear panel. While no adjustment is required, you should at least have a tester at hand to check wiring errors prior to power-up. Once you have found no errors, then disconnect the internal DC power connectors and pull all IC devices out of the amp modules. Then turn the AC power on. Check the power module output pin level, which should be +24V or so. And check the voltage of all Vcc pins of the IC devices, such as ±18V or 5V, respectively. After this, turn off the power and plug the connector cable back in, put all IC devices into the socket, and turn the power on again for standby. The electronic volume stage mounting Wolfson W1V18816 chip and a couple of OP275 op amps showed a perfect linear curve; maximum output level showed approximately 12V R under ±1SV regulated power supply (Fig. 8). Distortion characteristics showed an extremely low value below 0.01%, even with 0.002% distortion of signal source, due to Analog Devices’ 0P275 chip (Fig. 9). Due to Wolfson’s chip, the crosstalk showed an extremely low level below -100dB under EIAJ standard measurement conditions, bringing the silence in the listening room even at the maximum volume position of the preamp (Figs. 10 and 10a). FIGURE 8: Input vs. output. 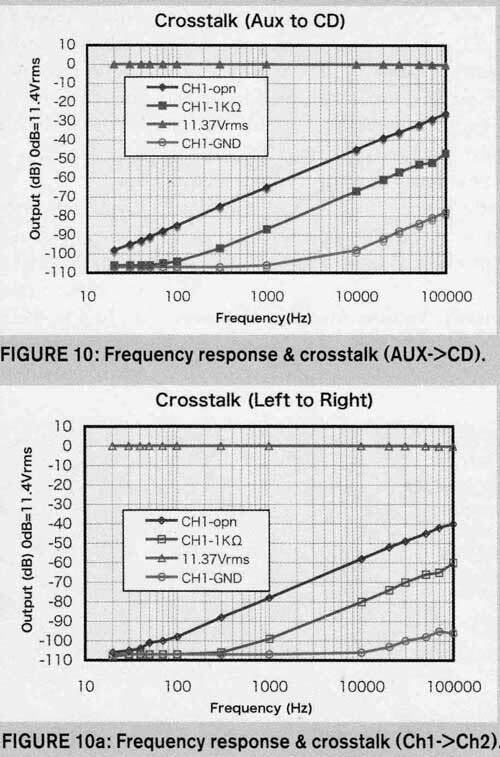 FIGURE 10a: Frequency response & crosstalk (Ch1->Ch2). At either MC or MM position when enjoying LP music, you might need a subsonic filter to avoid a howling caused by unwanted vibration via the room acoustic. 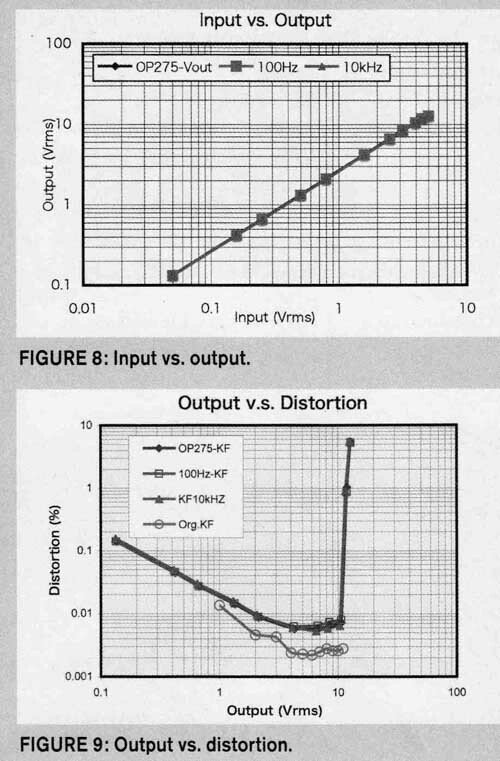 Such a 40Hz low cut filter might work effectively, consisting of a basic passive CR filter (Fig. 11). The Tachyonix control chip works fine with the WM8816 chip, showing the linear stepped attenuation in log scale with an approximate 2.5dB per step. At the minimum position of the volume, the attenuation reaches to below -100dB, bringing the silence at the speaker system (Fig. 12). With the RIAA equalizer and CR filter, the input versus output characteristics at 100Hz, 1kHz, and 10kHz showed a very clean linear curve in the range from the minimum value of the measurement system to the maximum output voltage at over 10V RMS (Fig. 13). The minimum value shown is below 0.01%, which might be comparable to the manufacturer’s preamp. At 100Hz, because of a hum, somehow the distortion value showed worse than at 1kHz and 10kHz (Fig. 14). In the range between 20Hz and 21kHz, I measured the RIAA equalizer deviation by calculating the balance between the measured value and the theoretical value and plotted the values onto Fig. 15. The deviation calculated is extremely small below 0.1dB in the en tire frequency range of RTAA equalizer (Fig. 15). 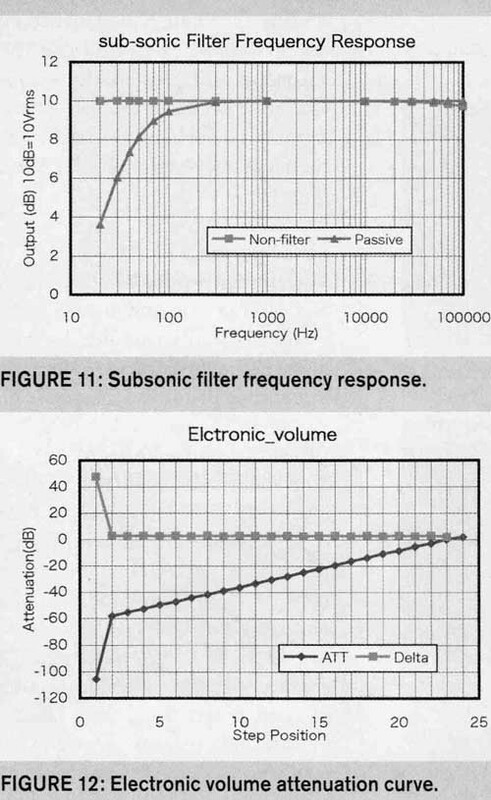 FIGURE 11: Subsonic filter frequency response. FIGURE 12: Electronic volume attenuation curve. FIGURE 13: RIAA equalizer input vs. output. 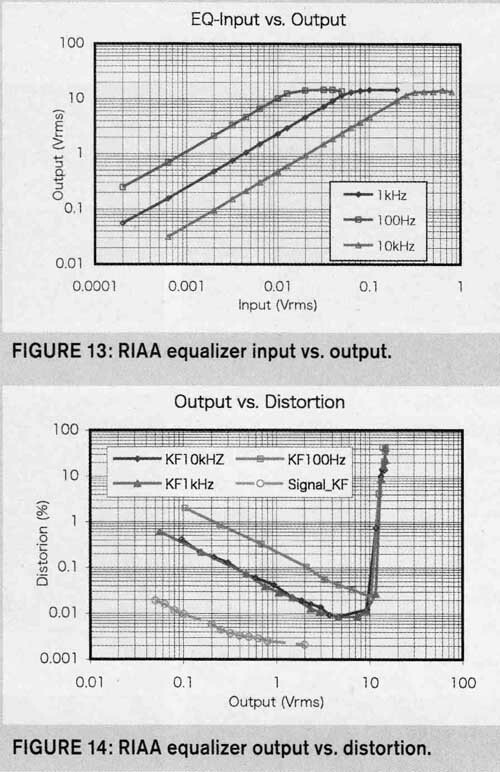 FIGURE 14: RIAA equalizer output vs. distortion. Waveforms (Photo 6) at 100Hz, 1kHz, and 10kHz sine and square wave show a typical clean shape due to the lowest distortion environment. I observed neither visible distortion nor phase errors. The measured residual output voltage level was extremely low as though it were a measurement instrument. Due to such an extreme low level of residual noise level, my B&W 802 speaker system does not generate any hum—even in CD mode at the front edge of speaker cone with the maximum volume level of both power amplifier (Luxman M 7f) and this preamp. The only sound I could hear was a noise surrounding me coming from outside my house, which is typical Japanese style. Even in the MM input mode, the speaker produces just a clean noise other than a hum (100Hz or so). During this listening session, I could detect only the silence. In the MC position, some improvement is needed, because of the magnetic shield structure; it produced some S/N ratio degradation, which corresponds to 10dB or so. The measured noise level was approximately 3x worse than at MM input. However, at the regular listening volume position on my system, which is about the mid-position of the volume (corresponding to 12 o’clock position), the noise was negligibly small (Table 1). What was most noticeable when listening to this amp was the perfect silence even at maximum volume before starting the CD or LP players. Furthermore, no crosstalk was observed at all. This seemed very natural to me. I have tested several LPs, classical music, jazz, R&B, Japanese POPs, Japanese Enka, and so on. The sound of those was re ally natural and exhibited no stress and strong enhancement at all. As compared to a few CDs, which are identical to LP records, both showed the same presence as well. 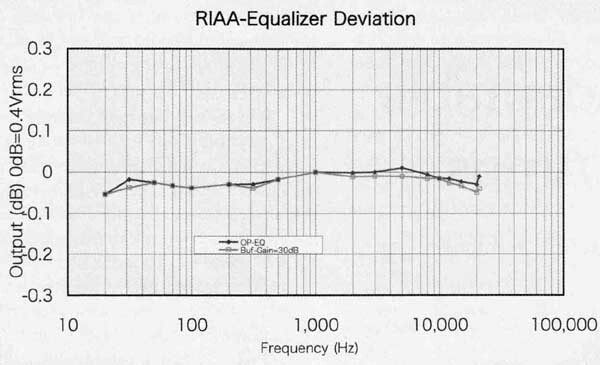 FIGURE 15: RIAA equalizer deviation. It surprised me that Wolfson’s electronic volume chip produced an excellent presentation of CD music. I found this electronic volume chip with an external op amp produced a new era of the sound as compared to the valve line amp. Also, I could customize the sound by altering the external op amp with other favorites, such as the 0PA627. I recently had a chance to test this with the valve line amplifier using a 12AX7 valve with 18dB NFB between its plate and a grid terminal. This valve was sorted out of over 20 tubes designed and built by a friend of mine. The result was no significant sound difference; it was difficult to describe the difference. Somehow, because he loves the valve amplifier, he believed the sound of my amplifier gave a sort of solidness as compared to his 12AX7 line amp. Edward 1. Dell, Jr., (Music Inside the Brain, p. 6) is owner and publisher of Audio Amateur, Inc., publishers of audioXpress, Voice Coil, and Multi Met Manufacturer magazines. Satoru Kobayashi “IC Preamp with Electronic Level and Selector,” p. 8), from Tokyo, Japan, has been interested in audio and ham radio since he was in his teens. After majoring in EE in Tokyo, he joined the semiconductor industry, designing DRAM chips for a living, although he now works in the technical and marketing area of semiconductor packaging industry. He periodically writes on the subject of audio for a few different magazines. Paul J. Stamler (“Adaptable Power for Tube Amps,” p. 20) is a recording engineer/producer, musician, and technical writer: he also hosts a radio program, “No Time to Tarry Here,” featuring traditional folk music and related stuff. He has delighted in 78’s since he was a boy, whet they were still being made. Jack Walton (“High End 120W MOSFET IC Driven Amp,” p. 30) is an investment consultant and entrepreneur in Short Hills, NJ. His educational background is n chemistry, physics, and finance. He has had a lifelong interest in electronics, ham radio, photography, and the arts. Matthias Brennwald (“MATAA: A Free Computer Audio Analysis System,” p. 36) lives in Switzerland.